Actually I ain’t diggin this Texas heat..I decided to move out of the Coati Cottage and move in with my new little buddy Hailey Hoo! 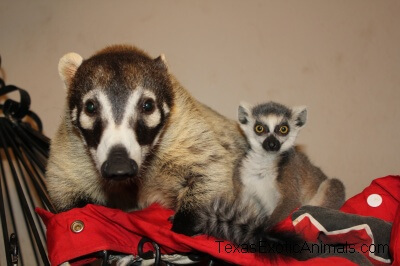 I know how CoatiMom loves me and she is much happier when I stay inside with her too ( I am her favorite ).. I am so cute everybody loves me…. Previous Previous post: Oh no no no no nose!!!!!!!!!!!!!! !